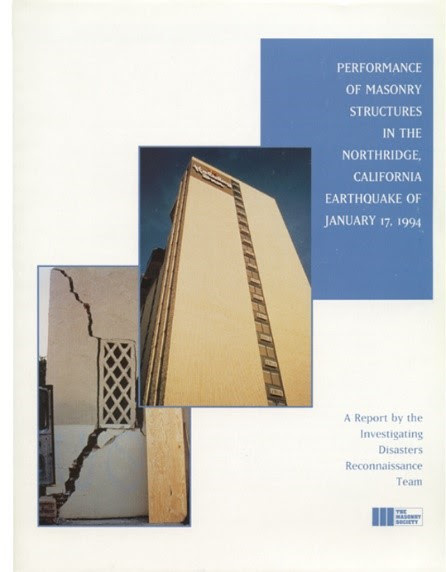 25 years ago from tomorrow (January 17, 1994), the Northridge earthquake struck at 4:31 am: shaking the southern California basin and our views and opinions on seismic design, detailing, and rehabilitation. The 6.7 moment magnitude event induced strong shaking (ground acceleration of 0.05 g and greater) for 15 to 20 seconds in the epicentral region, and produced over 3500 aftershocks in the first two weeks following the event,with more than 1,000 greater than magnitude 3.5. The death toll was, for such a large event in a major urban area, thankfully low (less than 75) but the monetary damage has been estimated between $15 and $40 billion. Observations from post-disaster investigations, including those by TMS, have changed the way we design, detail, construct, and rehabilitate buildings and structures in seismically active regions. On this anniversary, it is appropriate to remember those affected by this event, similar disasters, and to refocus our efforts on designing, constructing, and repairing structures to be not only efficient and economical, but safe and resilient. To remember some of the lessons from Northridge, a general interest paper has been drafted and will hopefully be published later this year in TMS Journal. In addition, TMS is considering a session on the event and TMS's disaster investigation response during TMS's Annual meeting this November in Scottsdale, Arizona. Watch future e-newsletters and TMS's website for details. The newly reformed Cast Stone Committee of The Masonry Society will meet virtually on February 21, 2019 at 11 am ET. Click here for details. The University of Minho has two PhD grants on Masonry Structures. If you are interested, please contact before the end of January. On January 30 and 31, TMS Honorary Member Danial P. Abrams and Member Svetlana Brzev will be presenting at A Colloquium on Advancements in Seismic Design of Masonry Structures at Nirma University in India. Presentations (15 to 20 minutes in length) are sought for TMS's 2019 Annual Meeting on the morning of November 7 and are to be from 15 to 20 minutes in length. If you would like a presentation considered, please forward a title, 1 paragraph description, a 1 paragraph speaker bio here by February 15. The Masonry Society is accepting applications for the 2019 James L. Noland Student Fellowship until April 16, 2019. Click here for more information. The Scholarship will be presented at the 13th North American Mssonry Conference in June. 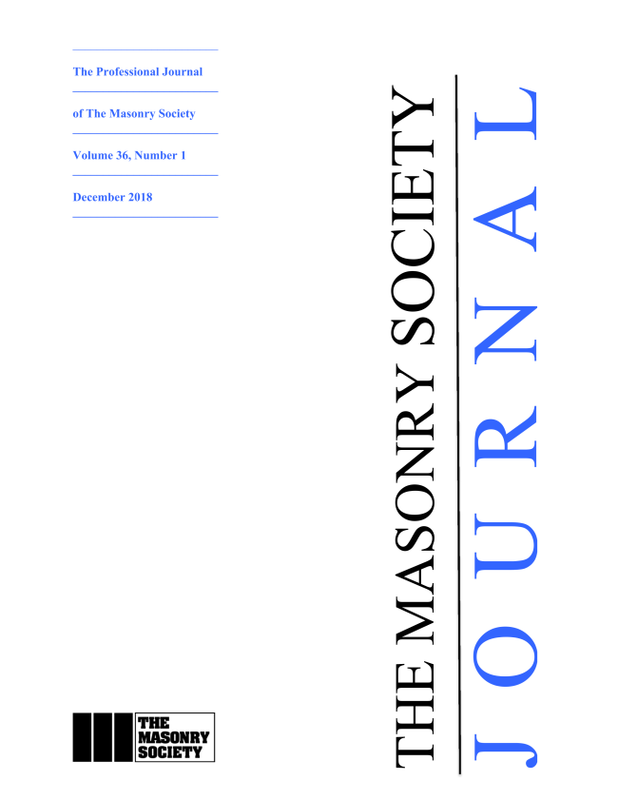 Excellent technical and general interest papers on most masonry topics are continually sought for TMS Journal. Click here for information on submitting a manuscript for consideration. Time from submission until publication of approved papers is often less than 1 year. Registration is now open for the 13th North American Masonry Conference and for TMS's Spring Business meetings that will be held in Salt Lake City, Utah this June. Sponsorship opportunities for this important conference that will draw hundreds from around the world are available. Click here to register or to find out more about the 13NAMC.